I was lucky to have had the chance to visit El Estor, Guatemala again recently, for the first time since I reported on the evictions that took place there in late 2006 and early 2007. EL ESTOR, GUATEMALA—The rain won’t let up. It muddies the ground and pounds the corrugated metal roof of Angelica Choc’s house on the edge of the Guatemalan town of El Estor, enveloping the small gathering on the porch in a curtain of water. If it wasn’t for the violence surrounding a proposed nickel mine near the community, the evening’s gathering would likely have included her husband, Adolfo Ich. Maybe, at the end of the gathering, Ich would have taken out his guitar and begun an impromptu sing-a-long. “This will be the first time, as far as I know, that individuals harmed by Canadian mining projects in other countries will have travelled to Canada to provide evidence for use in Canadian courts,” according to Grahame Russell of Rights Action, a solidarity organization involved in supporting community members resisting nickel mining in the El Estor region. “The questioning, under oath, will take place out of court and may be used in court.”Toronto’s Klippensteins, Barristers & Solicitors, is representing the plaintiffs, whose claims against the Guatemala operations of Toronto-based Hudbay Minerals are serious. “The brutal and arbitrary shooting of Adolfo Ich was caused by the negligent management of Hudbay Minerals both in Canada and in Guatemala,” reads theStatement of Claim filed by Angelica Choc in the Ontario Superior Court of Justice. Ich and Choc had five children. 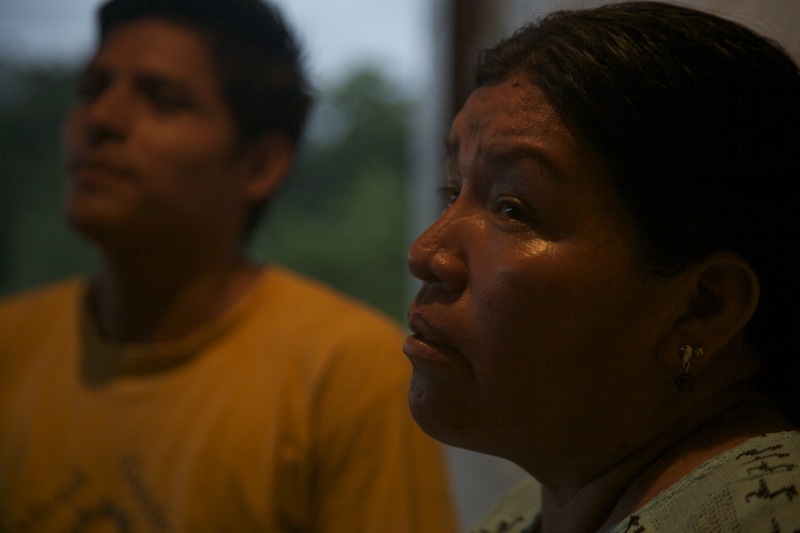 Their son José, who witnessed the killing, says the security guards hacked at Adolfo with a machete before shooting him in the head.